Who We Work For | Sistemang Pilipino, Inc.
SP’s programs aim to cater to children between the ages of 2 to 18, in particular those belonging to families with little or no access to musical performances and training due to lack of resources (financial and otherwise). At present, the programs of SP are focused on a total of 60 children from two organizations: SOS Children’s Village in Talamban, Cebu City, and The Ermita Children’s Art Project of Bidlisiw Foundation in Barangay Ermita, Cebu City. SP’s first community is built upon the foundations of two existing organizations (SOS and Bidlisiw Foundation). It will collaborate with existing NGOs to provide musical education for the children of Cebu City. 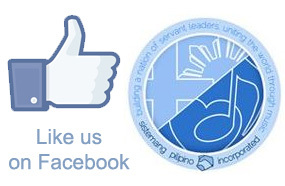 By 2016, SP will create a community-based nucleo and expand to other areas of the Philippines where leaders and organizations of a similar spirit wish to build their music programs with SP.